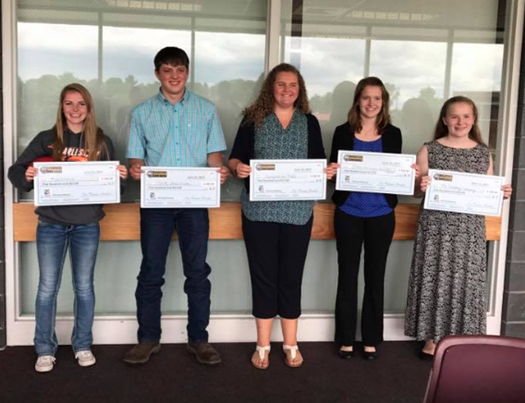 The winners of $500 in seed money are, pictured from left to right, Ravyn Knecht, Daniel Wilbur, Madison Daniels, Alyssa Tegtmeyer, and Sadie Arickx. 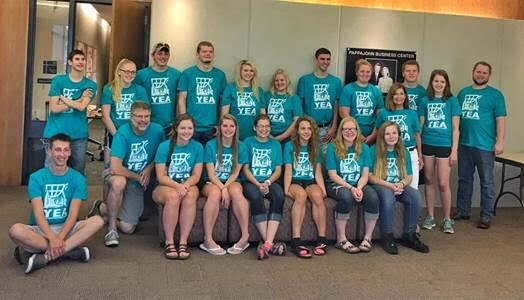 The North Iowa Area Community College John Pappajohn Entrepreneurial Center conducted the Youth Entrepreneurial Academy on June 19-23. The academy is offered annually and free to all high school students interested in entrepreneurship. Participants receive a $500 NIACC scholarship sponsored by John Pappajohn. In it’s fifth year, the week-long academy included 15 participating high school students. They stayed in NIACC’s student housing or received gas cards to help cover the week’s travel from their homes. Throughout the week, the young entrepreneurs worked on business models. Students had the opportunity to network with local entrepreneurs, develop leadership skills, and gain fundamental skills required when starting a business. Friday, June 23, the final day of the academy the students pitched their business ideas by submitting an executive summary that included a company description, financial plans, and business model key measures that included startup costs and sales projections. This entry was posted in Schools and tagged Abigail Thomas, Alyssa Thoreson, and Alyssa Tegtmeyer, and Holden Nyhus, Bekka Reams, Carissa Blake, Corey Behrens, Daniel Wilbur, Falyn Knecht, GT Howd, Hunter Noordhoek, Jim Elias, Kelley Crane, Madalyn Schott, Madison Daniels, North Iowa Area Community College John Pappajohn Entrepreneurial Center Youth Entrepreneurial Academy, Ravyn Knecht, Sadie Arickx, Samantha Schupanitz, Samuel Arickx, Tommy Elias. Bookmark the permalink.